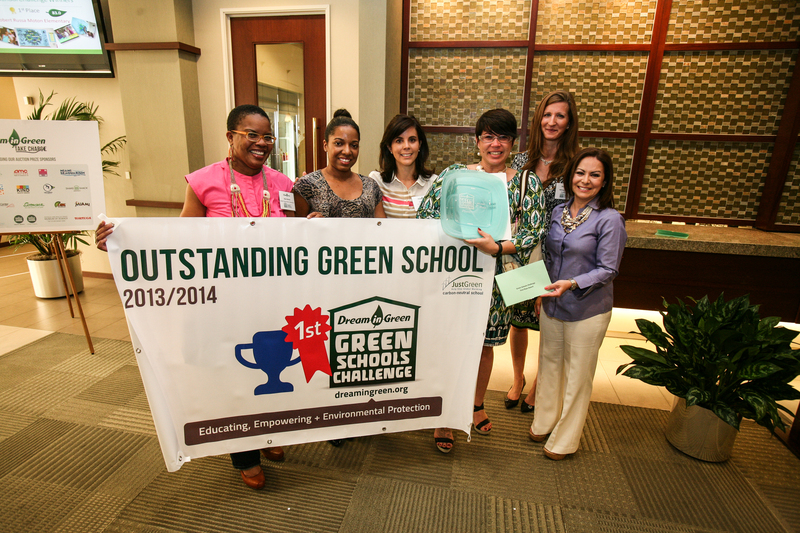 Miami, Florida, June 10, 2014 /3BL Media/ – On May 22, Dream in Green together with JustGreen honored the winners of the 2013-2014 Green Schools Challenge (GSC) and Water and Energy Learning and Behavior (WE-LAB) programs. JustGreen was proud to present the first place GSC award together with a donation of carbon credits to Robert Russa Moton Elementary. The carbon offset donation will help balance the school’s carbon footprint and make it the first carbon neutral school in the Miami-Dade County Public School System. The donation will offset 812 metric tons of carbon emissions which is equivalent to planting approximately 20,831 trees and taking 171 passenger cars off the road for a year (Calculations from EPA’s Clean Energy Calculator). “We were not expecting to win anything this year. We worked extremely hard on all of our challenges and this validated all of our efforts. I know we tried really hard with so many things we did but I am amazed and astonished to see that we surpassed so many other amazing and excellent schools in our region,” said Yamile Vazquez, Theatre Arts Specialist at Robert Russa Moton Elementary. The Green Schools Challenge began in 2006 and has expanded from three to one-hundred twenty K-12 schools in Miami-Dade and Broward counties. The GSC is a 10-month curriculum that educates students about environmental and energy challenges by getting them involved in real world, low to no-cost solutions at their schools. WE-LAB is a ‘graduate’ program for Dream in Green’s schools that have been participating in the Green Schools Challenge for more than 3 years. WE-LAB is designed to teach students, staff and parents about the nexus between water and energy and to motivate community-wide water-energy-saving behaviors. “We are proud to partner with Dream in Green and congratulate the hard work of the students, teachers and administrators of all the winning schools. We are also pleased to balance the carbon footprint of Robert Russa Moton Elementary School and look forward to continue to support environmental educational programs that help raise awareness of the importance of investing in the welfare of our planet for future generations as we continue to do our part in helping stop global warming.” said JustGreen Executive Vice President Gerardo Manalac. The GSC & WE-LAB Awards Ceremony was recently held at the law offices of Stearns Weaver in Miami, Florida. The top ten schools with the highest overall scores showing the greatest electricity and water savings were recognized for their achievements. Other award categories included Best Independent School, WE-LAB schools, Facility Manager, Student Leadership, Innovation in Education, Monthly Challenge Awards. JustGreen, a Just Energy Group Inc. (NYSE/TSX: JE) brand, in collaboration with Dream in Green (DIG) are working to promote green energy and help educate South Florida communities on ways to conserve and live a greener lifestyle. JustGreen is Just Energy Group’s green energy initiative that can help us all work towards a cleaner planet by pursuing renewable and sustainable energy solutions that support green projects across North America. Since 2013, Just Energy has committed to purchase $135 million in products from green projects across Canada and the United States. In 2013, we reached a significant milestone by having purchased over 2 billion pounds of carbon emissions thanks to our JustGreen program and our “green” customers. These joint efforts are equivalent to taking approximately 190,000 cars off the road or planting approximately 4.5 million trees.” JustGreen Lifestyle’s products provide consumers and businesses with the ability to help them reduce the environmental impact of their everyday energy use through carbon offsets and renewable energy credits. Dream in Green (DIG) is a Miami-based 501(c) (3) non-profit organization focused on promoting energy and water conservation and environmental sustainability in South Florida through innovative educational programs. DIG builds partnerships with schools, local governments, organizations and businesses for the purpose of reducing greenhouse gas emissions, waste, and our reliance on fossil fuels. 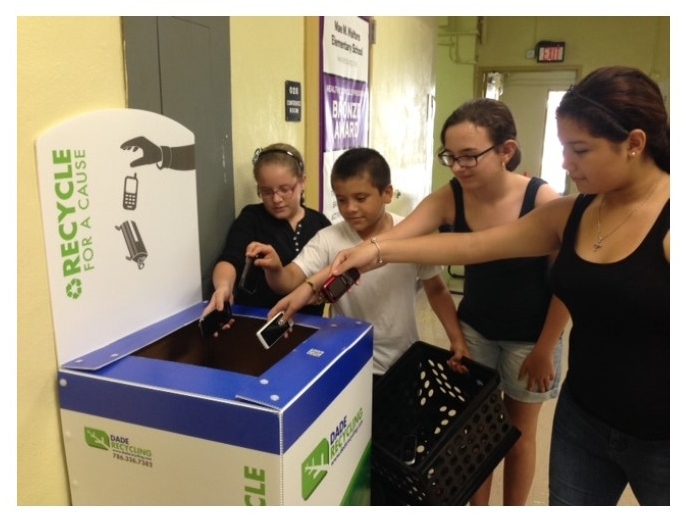 DIG is best known for its award-winning Green Schools Challenge program, currently in its seventh year and serving 165 schools and over 160,000 K-12 students, teachers and staff members in Miami-Dade County. DIG’s second most successful program is the Home Energy Savings Program which aims to reverse the trend of global climate change by providing homeowners with information, resources and incentives to reduce household energy and water consumption and minimize waste. It has allowed households to reduce utility costs by 30-40% and lower their carbon emissions by 10,000 pounds per year.